Subsequently, around April 21-23, 2008, t he Statement for Pope Benedict XVI about the pattern of sexual abuse crisis in the United States, by Richard Sipe, was published on the internet, at richardsipe.com. On April 24, it was passed on by the Prefect of the Congregation for the Doctrine of the Faith, Cardinal William Levada, to the Cardinal Secretary of State Tarcisio Bertone. It was delivered to me one month later, on May 24, 2008. I do not know when Pope Benedict took these measures against McCarrick, whether in 2009 or 2010, because in the meantime I had been transferred to the Governorate of Vatican City State, just as I do not know who was responsible for this incredible delay. I certainly do not believe it was Pope Benedict, who as Cardinal had repeatedly denounced the corruption present in the Church, and in the first months of his pontificate had already taken a firm stand against the admission into seminary of young men with deep homosexual tendencies. I believe it was due to the Pope’s first collaborator at the time, Cardinal Tarci sio Bertone, who notoriously favored promoting homosexuals into positions of responsibility, and was accustomed to managing the information he thought appropriate to convey to the Pope. Cardinal Pietro Parolin, the current Secretary of State, was also complicit in covering up the misdeeds of McCarrick who had, after the election of Pope Francis, boasted openly of his travels and missions to v arious continents. In April 2014, the Washington Times had a front page report on McCarrick’s trip to the Central African Republic, and on behalf of the State Department no less. As Nuncio to Washington, I wrote to Cardinal Parolin asking him if the sanctions imposed on McCarrick by Pope Benedict were still valid. Ça va sans dire that my letter never received any reply! Bishop Paul Bootkoski, emeritus of Metuchen, and Archbishop John Myers, emeritus of Newark, covered up the abuses committed by McCarrick in their respective dioceses and compensated two of his victim s. They cannot deny it and they must be interrogated in order to reveal every circumstance and all responsibility regarding this matter. Back in Washington everything became very clear to me, thanks also to a new event that occurred only a few days after my meeting with Pope Francis. When the new Bishop Mark Seitz took possession of the Diocese of El Paso on July 9, 2013, I sent the first Counsellor, Monsignor Jean-François Lantheaume, while I went to Dallas that same day for an international meeting on Bioethics. 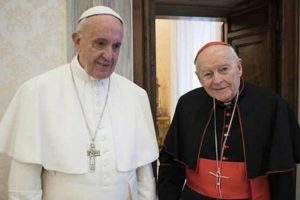 When he got back, Monsignor Lantheaume told me that in El Paso he had met Cardinal McCarrick who, taking him aside, told him almost the same words that the Pope had said to me in Rome: “the Bishops in the United States must not be ideologized, they must not be right-wing, they must be shepherds….” I was astounded! It was therefore clear that the words of reproach that Pope Francis had addressed to me on June 21, 2013 had been put into his mouth the day before by Cardin al McCarrick. Also the Pope’s mention “not like the Archbishop of Philadelphia” could be traced to McCarrick, because there had been a strong disagreement between the two of them about the admission to Communion of pro-abortion politicians. In his communication to the bishops, McCarrick had manipulated a letter of then-Cardinal Ratzinger who prohibited giving them Communion. Indeed, I also knew how certain Cardinals such as Mahony, Levada and Wuerl, were closely linked to McCarrick; they had opposed the most recent appointments made by Pope Benedict, for important posts such as Philadelphia, Baltimore, Denver and San Francisco. 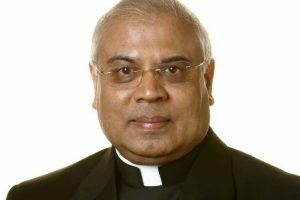 In the case of the former Auxiliary Bishop Juan José Pineda, after the article published in the [Italian] weekly L’Espresso la st February, Maradiaga stated in the newspaper Avvenire: “It was my auxiliary bishop Pineda who asked for the visitation, so as to ‘clear’ his name after being subjected to much slander.” Now, regarding Pineda the only thing that has been made public is that his resignation has simply been accepted, thus making any possible responsibility of his and Maradiaga vanish into nowhere. 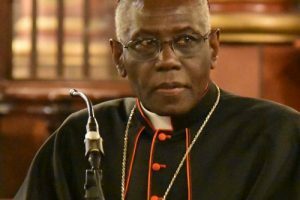 But this will not be enough to heal the situation of extremely grave immoral behavior by the clergy: bishops and priests. A time of conversion and penance must be proclaimed. The virtue of chastity must be recovered in the clergy and in seminaries. Corruption in the misuse of the Church’s resource s and of the offerings of the faithful must be fought against. The seriousness of homosexual behavior must be denounced. The homosexual networks present in the Church must be eradicated, as Janet Smith, Professor of Moral Theology at the Sacred Heart Major Seminary in Detroit, recently wrote. “The problem of clergy abuse,” she wrote, “cannot be resolved simply by the resignation of some bishops, and even less so by bureaucratic directives. The deeper problem lies in homosexual networks within the clergy which must be eradicated.” These homosexual networks, which are now widespread in many dioceses, seminaries, religious orders, etc., act under the concealment of secrecy and lies with the power of octopus tentacles, and strangle innocent victims and priestly vocations, and are strangling the entire Church.